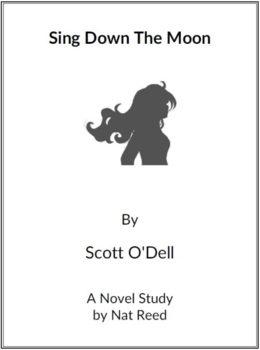 Sing Down the Moon is a complete 67 page novel study guide. The guide is presented chapter-by-chapter and includes the following distinct sections: Before You Read, Vocabulary, Comprehension Questions (including many higher-level thinking questions); Activities. The novel study includes everything needed to teach the novel including the following concepts / activities: setting, literary devices, research assignments, cloze activities, creative writing assignments, character studies, parts of speech, analogies, synonyms and antonyms, crossword and word search puzzles, studies in conflict, constructing a storyboard and sequence chart. It also contains a complete Answer Key. You may wish to check out Island of the Blue Dolphins – a free offering on Teachers Pay Teachers done by the author in the same format as Sing Down the Moon. The writer of this novel study has had more than 60 curriculum units published. These are available in such outlets as Chapters and Staples and most stores for teachers.